of the best lacrosse players in the nation. For just $35, you will receive 1.5 hours of instruction and on-field training. Positional skill development with Colin Heacock, Sergio Salcido, and James Bull. focused drills and instruction with former Division I lacrosse players. Regardless of your skill level, these instructors were all in your player's shoes at one time in their career. This is their way of giving back to the game we love and to share the skills they have learned throughout their lacrosse journey. This is a tremendous opportunity to take advantage of right before the start of the spring season. Space is limited, so please register today! "REGISTER NOW" by clicking the button on the upper right on the home page (or click the register online tab on the left-hand menu). The spring season will officially kick off the week of January 21. We are looking for those children that are curious about lacrosse, the parents that aren't sure if their children will like lacrosse, the athlete that wants to play a fast paced sport in the spring to supplement their other "main" sport(s). We provide rental equipment so the initial investment is in the "worth a try" wheelhouse. PLEASE help us spread the word and share this with any friends, family, or neighbors that are in the Freedom, Champe, Briar Woods, and Rock Ridge High School pyramid. Please register early, spread the word, and let’s make 2019 the best year yet for Dulles South Lacrosse! Hello and welcome to Dulles South Lacrosse, Home of the Storm! We promote opportunities for youth in Loudoun County to experience lacrosse. On this site you'll be able to find information about our Spring and Fall programs, schedules, rosters, game results, directions, and much much more. Check back frequently for the latest information about our club. 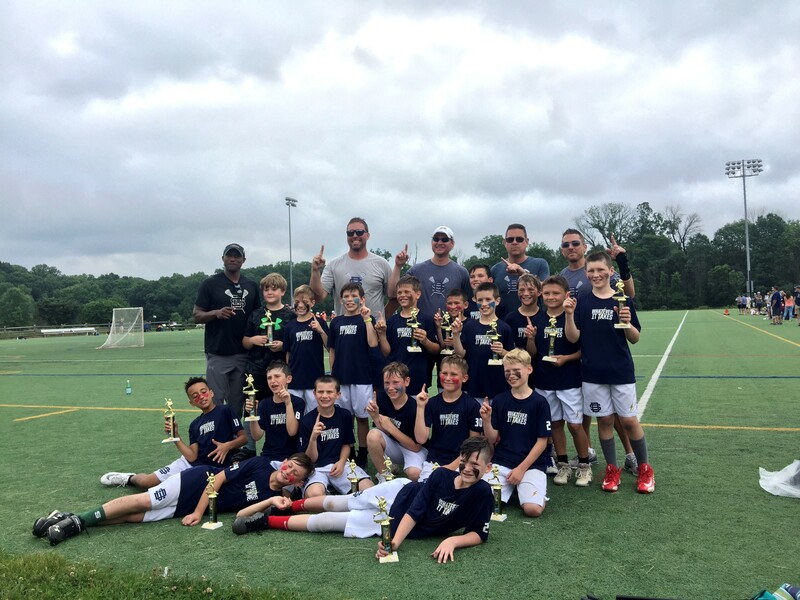 During our regular Spring seasons, Dulles South Lacrosse, Inc. teams play as part of NVYLL (Northern Virginia Youth Lacrosse League). Based on your primary residence address, if your child will/would/does attend Briar Woods, John Champe, Freedom, Rock Ridge High School, and the upcoming Independence High School for the 2018-2019 school year, we are your club! If you aren't sure which High School cluster you live in, check the LCPS Attendance Boundary eListing to confirm (click this link). Special thanks to the coaches, parents, and volunteers. The program continues to grow and develop because of your commitment to our kids! The boys 10U Orange went undefeated with their only regular season blemish being a tie to the eventual second place team Great Falls. Congratulations 10U Boys! The girls MF1 coached by Jon Browning defeated Arlington to capture the MF1 championship!